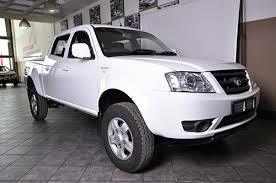 You can also own a Tata Xenon 3.0 D/cab bakkie from R2699.00pm. All you need to do is SMS this code A1989 to number 35393 on your telephone. SMS cost is R3 per sms. Have look at this video review of the Tata Xenon.